Following a brief illness, Gary Phillip Sappier Jr. of Tobique First Nation, NB, passed away at the Upper River Valley Hospital on January 22, 2019. Gary was born in Perth-Andover, NB, on May 3, 1969. Gary was the son of Gary Sappier Sr. of Tobique First Nation, NB, and Marion Augustine of Red Bank, NB. 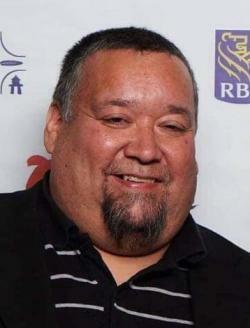 Besides his parents, Gary leaves behind his wife Megan Sappier (Grant); his daughters, Macy Sappier and Hannah Sappier both of Tobique First Nation, NB; his sons, Kipp Sappier of Fredericton, NB and Ben Sappier of Tobique First Nation, NB; his sisters, Daisy Saulis (Ronald) of Tobique First Nation, NB, April Richardson (Kyle) of Miramichi, NB, Carolyn Peterson (Kent) of Calgary, AB; his brothers, Adam Saulis (Sarah), Daniel Saulis, Bronson Paul, and Paul Sappier, all from Tobique First Nation, NB, Nathan Augustine (Suzie) of Red Bank, NB, MacKenzie Sappier of Indian Island, NB. Funeral service was held on Saturday, January 26, 2019 at 11 am from St. Mary of the Angels Catholic Church. Father Gilbert Doddatto celebrated. Interment will be in St. Ann's Catholic Cemetery at a later date. Organist for the service was Carol Andersen. The eulogy was given by Brad Sappier. Pallbearers were Adam Saulis, Brad Sappier, Bronson Paul, Adrian St. Peter, Bobby Perley, Nathan Augustine, Bobby Augustine, and George Francis Jr.